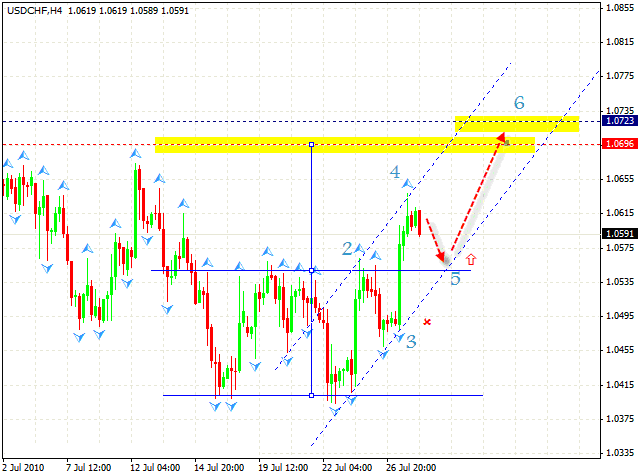 To have a complete grasp of the trend reverse, we should wait for the pattern to be formed at the daily chart. Until that, we can try to use an already existing trend. 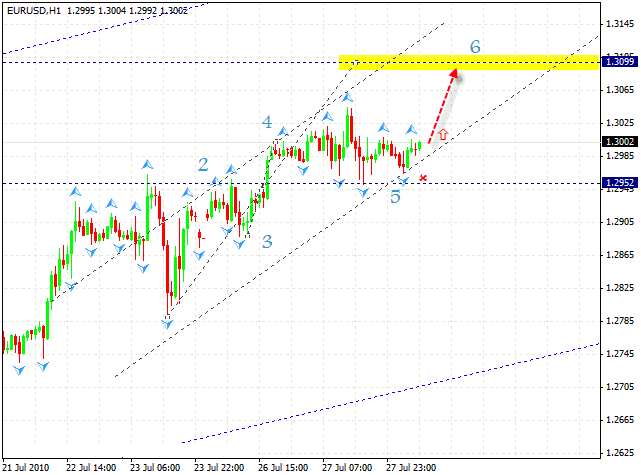 The target of the rising hourly pattern is in the area of 1.31. The stop must be hidden behind 1.2955. 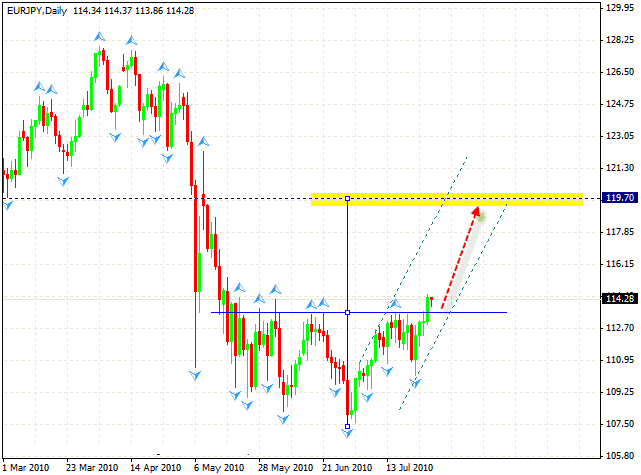 The targets of “double top” pattern has not been reached yet. At the moment we should expect the rate to fall into the area of 1.0540, where you can try to buy the pair with the target of 1.07. As we can see, the price faced the resistance at the upper side of the channel. 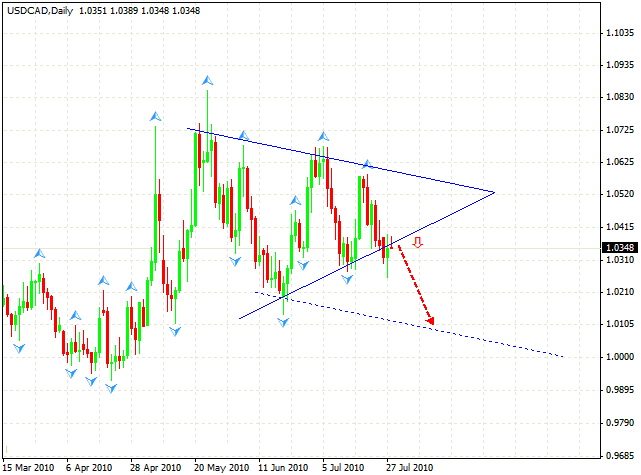 At the daily forex online trading chart we can see that the “triangle”, a pattern for technical analysis, has been formed. Currently the price is testing the side of the broken “triangle”. One can try to sell the pair with the tight stop. The first target will be the area of 1.01. The price has broken the resistance level, which is the same as the neckline in this case. Here, as we can see, “head & shoulders” reversal pattern has been formed with the target in the area of 119.70. In my opinion we should wait for the neckline test and only after that we can try to buy the pair.